Zorch's Inner Sanctum: I'm still around! I've had a number of financial issues which escalated my somewhat depressed state, causing me to withdraw from just about everything important to me...including the Sanctum. I wasn't in any physical danger (I'm not the suicidal type), but my state of mind wasn't too good, either. Well... I'm beginning to recover. I've relocated to a cheaper (and larger) apartment in another state. Once I get back on financial terra firma (the move cost me a bundle! ), I will repost anything I can, and post a whole lot of new stuff that I want you to check out. But it will be a while. I must thank all my friends in the area who helped me cope for their support, muscle power (records are heavy! ), and vehicles. 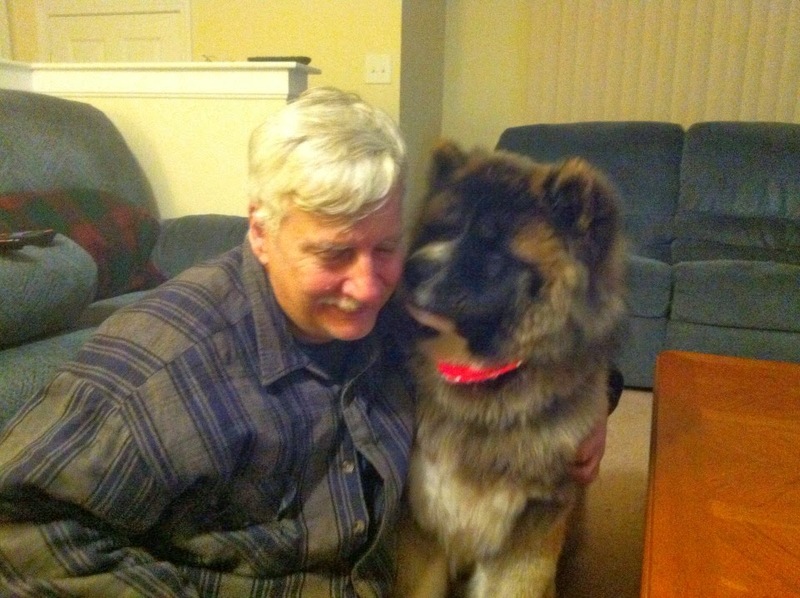 I also have a fluffy friend...my brother's long-coat Akita, Kodi-Bear...any time things get bleak, he's only six miles away. Hope to be posting again some time in the near future. Glad to hear from you! It's great that you are doing better. Great to hear you are taking responsibility for you. only 3.5 more years of this and then on to better days for all of us. My best to you, comrade. May the good days outnumber the bad for as long as you live, and dark days never get too dark. Lookin' forward to further treasures from Zorch's fortune, too. Welcome back. I hope that there are many great days ahead. Nice to see and know you're doing better. Look foraward to great stuff when you're able! Thanks to all who commented. Still pulling myself out of the morass that I fell into. As I said, it will take a bit of time to get to where I want to go. I wonder what Anonymous meant...what will happen in 3.5 years that will mean "better days for all of us?" Aw Zorch, I'm glad you're back! You probably won't remember me (we've only met once, at that wild and wacky record sale in Taunton, the day after I first saw your blog), but I really, really love the things you post here. I hope things keep coming along well for you! Kind thoughts and best wishes. Glad to see you are still here. Your posts are always interesting. All the best to you, glad I checked back in! Hi Cody...I remember chatting with you and your friend in the back at that sale...although I don't remember which is which. I'd like to meet up again sometime and chat shellac! Hang in there, Zorch... hope to see you up and about again - you and poochie both. Cheers!